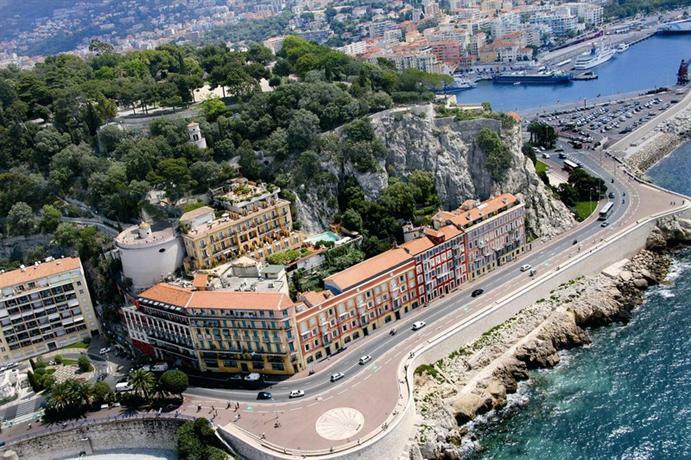 Nice is a picturesque town located along the shores of Baie des Anges. Located on the French Riviera, it’s the capital of the Alpes-Maritimes district. The city has a long and checkered history, having been established by Greeks, and then used as a much coveted travel destination by the European aristocrats circa 19th century. As a result of that the city has a strong hold in art, culture, and even religion. When you travel to Nice, you should stay in one of the following luxury hotels to really enhance your experience of the city. 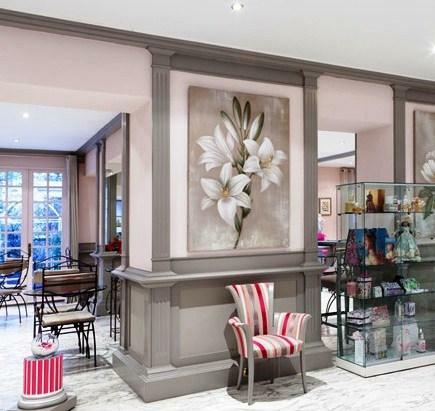 There are two really attractive selling points for this luxury hotel. First, it’s just a short ten minute walk from the central region of Masséna. Second, the sea-facing rooms offer you some of the most magnificent views in the whole city. In addition to that, this luxury hotel also brings a lot of authenticity to its culture and art, replete with antique furniture, sculptures, and artworks. This is one of the most revered hotels in all of Nice because it used to be a palace, and as such if you step into the Royal Salon, you’ll be met with a large portrait of Louis XIV. As such, this trendy hotel can even be called a museum-hotel, a feast for those seeking plain luxury, and for those who are only ever at comfort when surrounded by art and culture. However, don’t let all the talk of heritage and history fool you into thinking it lacks modern conveniences, because the hotel has been designed so as to provide you with all modern conveniences without distracting from the elegant aesthetic of the hotel. The hotel staff is uniformly well dressed in eccentric garb comprising a plume hat and knee breeches, and they’ve been trained well so that even if you fail to tip them, they won’t bat an eye. There are over 100 rooms in the hotel, with 31 suites, and they've all been decked up with lush period furniture, so much so that it almost feels like you’ve stepped into a period movie set. All the rooms have their own stories to tell. In fact, one of the rooms, the Suite Pompadour, was used by Louis XV’s mistress. 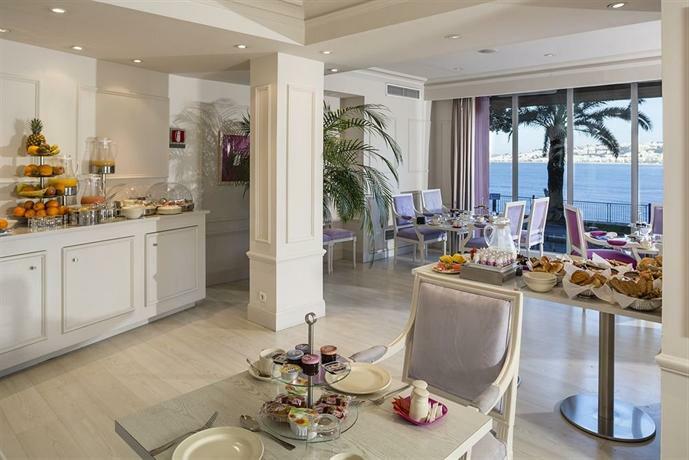 This is one of the most well located luxury hotels in all of Nice, sea-facing yet surrounded by some of Nice’s prime streets and attractions with plenty of boutique stores and charming restaurants and cafes in the immediate vicinity. The elegance of the hotel shines through from its lobby itself, made of marble, polished wood, and glass walls. The hotel is replete with neoclassical and art-deco aesthetic influences. In fact, it’s so well designed that it was kept from complete disintegration because of the sheer scale of its grandness. Back in the 1970s the hotel became the bone of contention between two rival clans, and the subsequent struggles led to one presumed death, a mysterious disappearance, and a 20 year long incarceration. This has gone down as riveting folklore for visitors of this luxury establishment. The facade of the hotel is looming and intense, looking out into Promenade-des-Anglais. On the third floor you have a stunning public area replete with a terrace, open pool, bars, and other attractions that will make you want to simply stay indoors and not go anywhere. There are 188 rooms in the hotel, all of them designed with a contemporary leaning, with only hints of art-deco intensity. As far as the color palette is concerned, it’s mostly neutral and mellow, but brightened and exalted with small interesting patches of blue, green, orange, ochre, and other similarly vibrant shades. There are some rooms that face directly towards the sea, but their view is slightly hindered because of the looming facade, and there are also rooms with a side partial view of the sea, and they’re also equally brilliant. 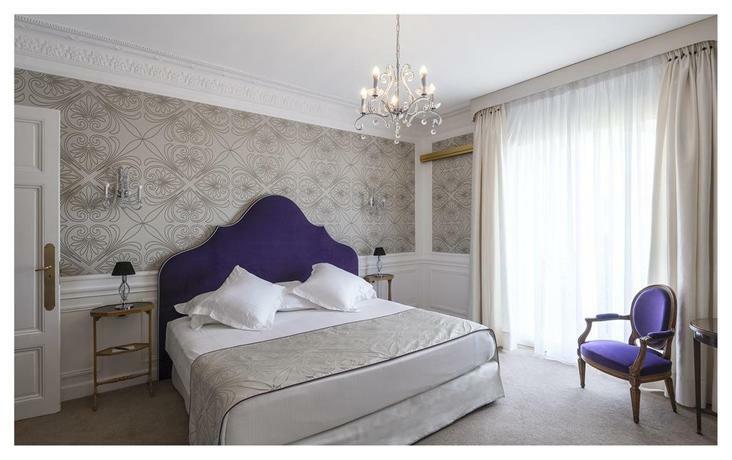 This luxury hotel is located on one of the most luxurious and posh neighborhoods in all of Nice, a short walk away from Musée Masséna and Promenade des Anglais. The architecture of the hotel is both traditional and contemporary, with belle époque details embedded along with more modern aesthetic leanings. 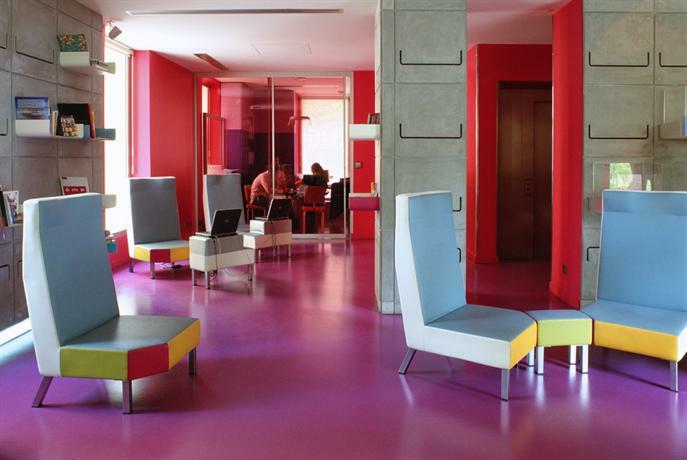 The hotel tries to enhance and capitalize upon the beautiful natural light found in Nice and the French Riviera. This is facilitated through a pristine white lobby, with a white chaise-longue, and a vast high glass dome ceiling through which the sun can pour through. This five star hotel features service that is immaculately and efficiently carried out with as little noise and distraction as possible. In fact, the staff blends in so perfectly with the aesthetics of the hotel that you’d be forgiven for not noticing them until you actually need them. The common areas also feature lavish floral arrangements that constantly infuse the atmosphere with a pleasant odor. There are several amenities available in the basement as well, and they’ve all been designed in a moody style, with a dim swimming pool, a spa, treatment rooms, essential oil showers, etc. There are 112 rooms in the hotel, and they’re distributed between 5 large floors. The rooms, in keeping with the aesthetic leaning of the hotel at large, are dazzling white. Even the door knobs are shaped and designed like white roses and they open into rooms that are soaked in sunlight. However, some of the bathrooms come without doors, so if you want privacy, you’ll have to make that clear at the reception. This is another brilliant sea-facing luxury hotel around Promenade-des-Anglais. 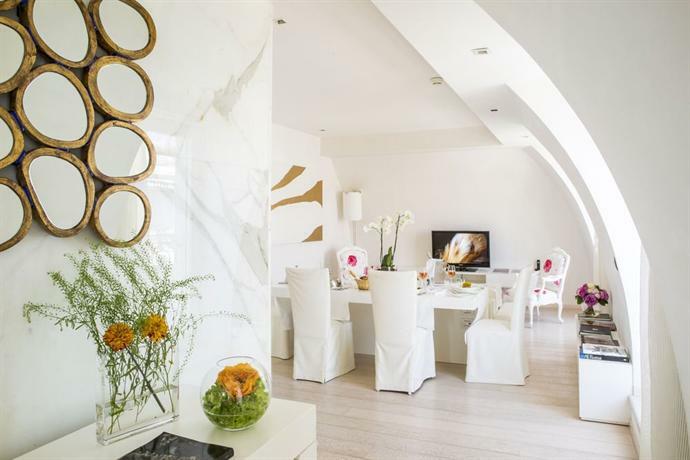 It’s just five minutes away from old town and ten minutes from Place Masséna. The entire hotel has a very friendly and breezy vibe about it. It’s peopled by a staff comprising mostly of women in smart suits. The lobby bears a light-wood aesthetic, and the hotel has been designed such that it’s extremely easy to navigate, even without help, and that’s something we can’t often say about luxury hotels. One of the most lovely features of this hotel is the terrace which comes with its own pool, poolside bar, and a fine dining restaurant, all under the open sun. The aesthetics here seem quite a lot like that of a really luxurious Provençal village square. The aesthetic is feminine, sharp, and tasteful. The hotel comes with 60 rooms, all of which have been designed in a Mediterranean style, with plenty of light flooding in through the floor-to-ceiling windows, and an interesting intersection of vibrant and mellow tones. The rooms are also equipped with details such as a chaise-longue or a rug, and the aesthetic is personalized with the help of artworks lining the walls. Every detail seems well taken care of. However, you should know that if you’d like a private terrace or a balcony, you’ll have to get yourself a Superior or Deluxe room, and if you’d like a view of the sea that is entirely unhindered, you should get one of the higher rooms. This luxury hotel, unlike the previous ones in the list, is built right in the middle of the city, next to Côte d’Azur. You get a stunning view of Baie des Anges. 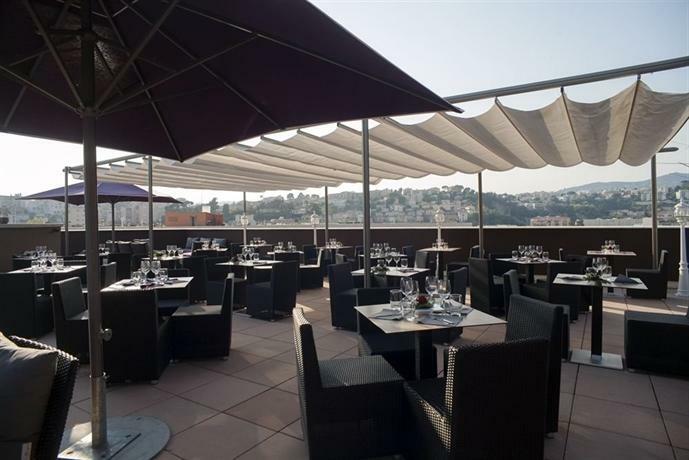 This is also one of the most well-connected hotels in Nice, equidistant from all the prime spots of the city. The airport is just 15 minutes away from the hotel, and you can ask for transportation to be set up. Even Old Town is in the immediate vicinity of the hotel. If you’d like to look out at the sea and visit some sea-facing cafes and restaurants, the Promenade des Anglais is a small walk away. The hotel is beautifully balanced over the crystal waters below, and it’s one of the prime seaside resorts in Nice. The hotel also brings with it access to a private beach, and the balcony and terrace features in the hotel are all uniformly lovely and they offer a panoramic view of the beach and the seas. The service is also quite friendly and the whole hotel has a very ‘boutique’ feel about it, with a gentle and laid-back kind of ambience. The hotel staff would gladly make arrangements for you to be taken on sightseeing tours and anything else you need. The rooms are all contemporary in style, and bright with plenty of natural light. Splendid Hotel & Spa is also located in the center of Nice, however it’s about 400 meters from the beach, as such the view from the hotel can often be a bit distorted and hindered by other establishments in the line of sight. This hotel has been managed by a single family for over 3 generations, and that adds to its heritage and charm. The lobby and common areas are bright and well planned. The same floor also has a few conference rooms where you can retreat if you’d like to work. As such, this is also a great option for business travelers or digital nomads. 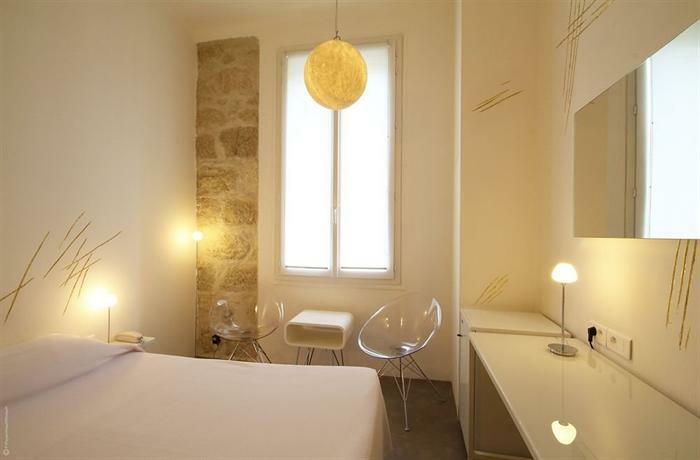 This hotel is quite central, just a few minutes walk away from old town, Place Masséna, etc. However, the centrality is bought at the expense of a beachfront location. It’s a short stroll from the beach, but not directly on it like so many other five star hotels. The lobby has been designed in a bright white and grey aesthetic, with a lot of shiny pillars, mirrors, and other reflective surfaces that only enhance the sense of light and space. There are 122 stylish rooms in the hotel, though there’s nothing particularly unique about them. 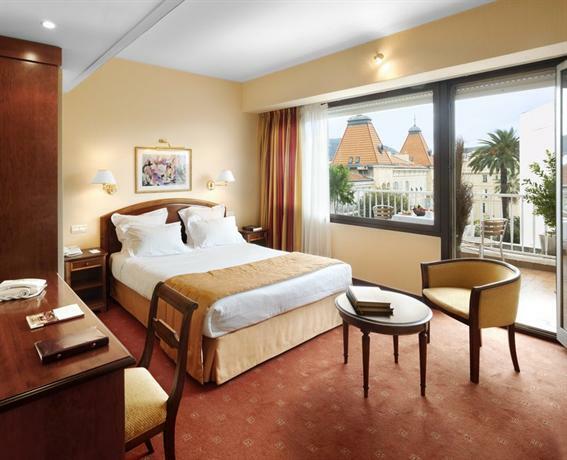 This is a lovely four star hotel lying close to old town and other prime attractions of the city, within walking distance of the Promenade des Anglais. 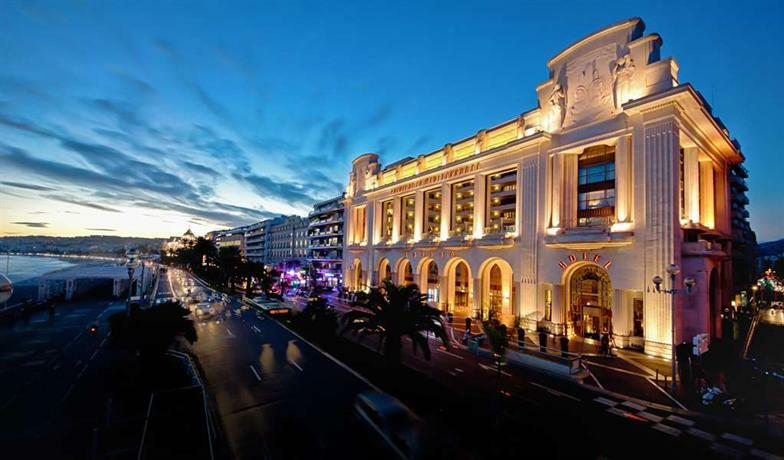 If you’d like to go shopping then you’re at the right place because the Republique, one of the prime shopping centers in Nice, is just opposite the hotel. If you’d like to go exploring the city, you can avail of the car or bicycle services available at the hotel. 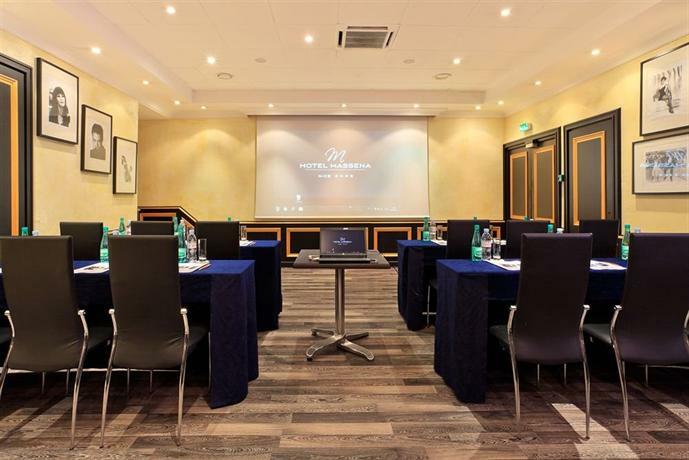 As for people who are also working during their travels, you can avail of meeting rooms and conference rooms complete with projectors and microphones. 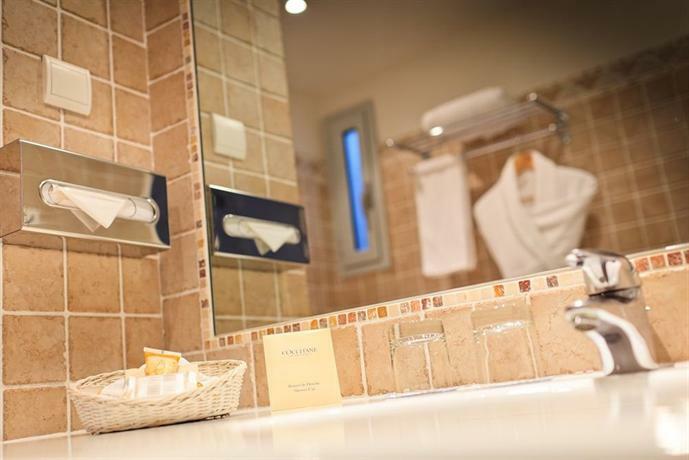 This four star hotel is just a short three minute stroll away from Promenade des Anglais, and it’s also equidistant from other attractions such as the Acropolis Convention & Exhibition Centre. 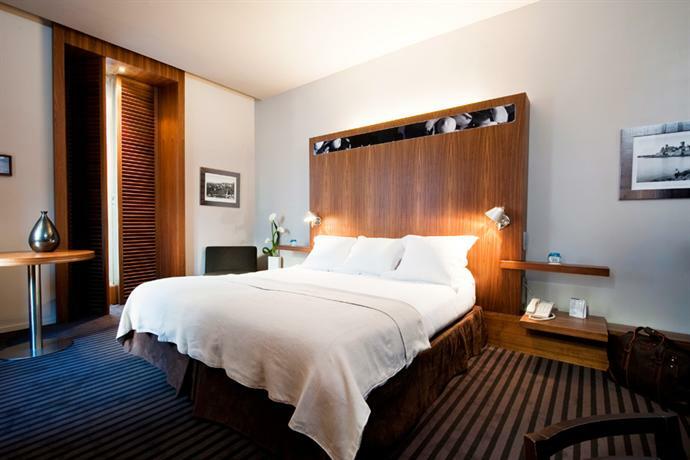 The hotel bears an impressive Belle Époque facade, however the rooms are a bit simple and plain, even though they’ve been designed in a modern and contemporary style. It’s not that the rooms are ‘bad’ as such, they’re just not very memorable. However, if you’re traveling on business, you can be assured that you’ll be met with all necessary amenities in the business rooms, including projectors and large 46-inch televisions. This stunning luxury hotel carries the charm of history along with it. It was established back in 1860, which coincidentally also happens to be the year that Nice officially became a part of France. The hotel has been designed in a contemporary style with vast sprawling open spaces and clean cut lines, thus leaning more towards minimalism. However, one of the prime attractions of the hotel is the Beau Rivage Plage beach club, which offers you access to their private three-mile long beach. The beach club is under a separate management however guests of the hotel get entry into it for free, and they get access to the sun loungers at a discount. This trendy luxury hotel seems to favor peace and quietude over well-connectedness. Not that it isn’t located well, it’s just ten minutes away from Promenade des Anglais, however it’s in a rather quiet street in the center of Nice. This is a favorite amongst artists, and many famous artists have made it their private art retreat, and as such have left a unique mark on the various rooms of the hotels. This gives the hotel a distinctive charm and sense of history, art, and culture, that cannot easily be replicated. In fact, when you select a room, you should go through the room’s history and art-aesthetic so that you can determine which one would most well suit your artistic leanings. 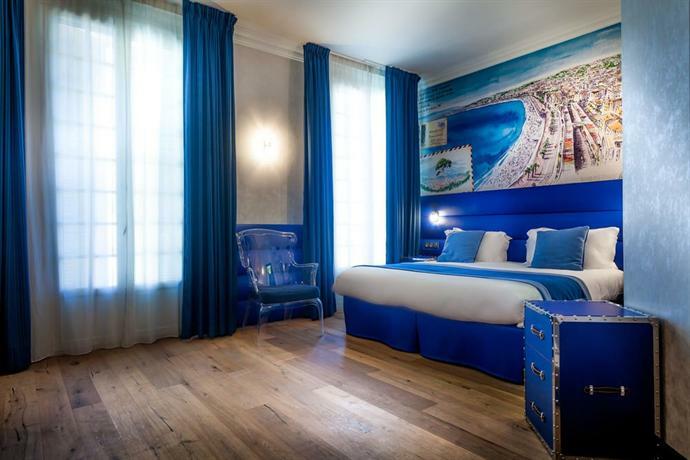 This hotel is located in one of the most famous streets in Nice — Boulevard Victor Hugo. The whole boulevard is flanked by lush green trees, and is peopled by lawyers and other distinguished persons living in classical 20th century buildings. This is a lovely four star hotel that favors a little peace and quiet and as such is located snug in a corner of this street. It has a quiet boutique feel to it, with just 38 rooms, and as such the hotel bears a very measured sense of aesthetics. This is an extravagant and unabashedly opulent luxury hotel that closely mirrors the opulence and sheer excess of the city itself. The hotel is just a few minutes away from Promenade des Anglais, and as such is well poised for all those who enjoy sightseeing. All the rooms in the hotel are comfortable and designed in a contemporary style replete with Nespresso machines, and luxury toiletries. If you enjoy good music, you should definitely walk over to the Musician’s district, which is sure to find you some good company and an entertaining evening. This hotel is just five minutes from the sea and the railway station. This boutique hotel most clearly stands out amongst all other hotels because it seeks to create a community of travelers. It’s warm and friendly, unlike many other luxury hotels that can often seem cold and forbidding. Think of it as the luxury of a five star hotel along with the connectedness and community afforded by a traveler’s hostel. The general aesthetic of the hotel is warm with deep reds, yellows, and dark wood being the favored color palette. This is one of the less expensive hotels on this list, and as such you don’t get an accompanying pool or garden. This hotel is a little inland, 200 meters from the beach. However, the beach is privately owned by the hotel and as such you get specialized treatment in it. The exterior of the hotel seems quite unremarkable with a lot of metal and fuchsia floors, however the interiors are wonderfully eccentric. 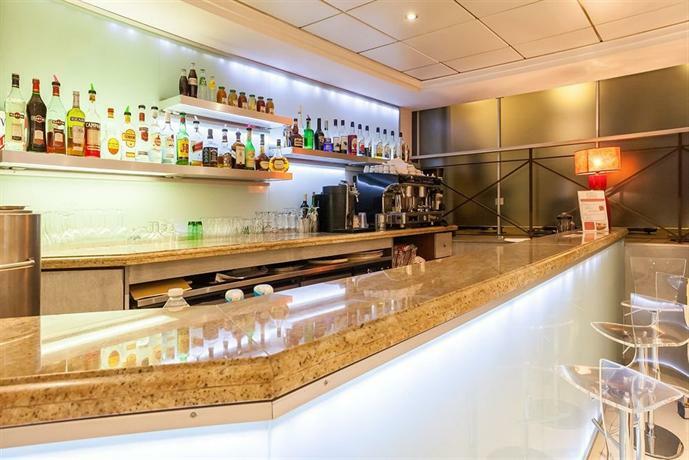 The hotel features an eclectic mix of wacky furniture, and they often host electronic music DJ nights, and as such this four star hotel is ideal for you if you’d like to stay some place lively and fun.